Hi, I’m Mary, a certified yoga teacher and holistic nutrition coach. My wellness journey began when I took my first yoga class almost 25 years ago. Being on the purple sticky mat I instantly felt grounded, connected and strong. I never looked back. Since then, I was certified at Sivananda and Jivamukti and have been teaching classes in New York as well as overseas retreats. After the birth of my daughter, with a new mission to feed my family healthfully, I turned my efforts to cooking and studying about nutrition. In 2014 I graduated from the Institute of Integrated Nutrition and became a holistic nutrition coach. 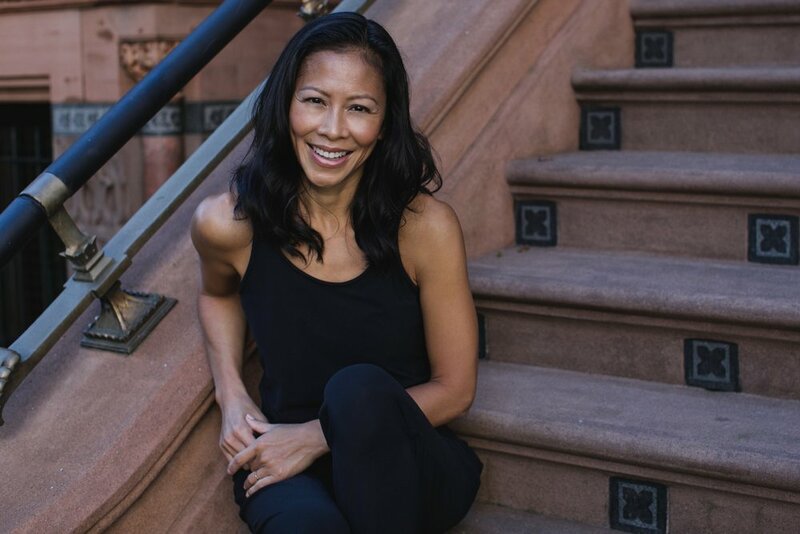 As the creator of Mary Chan Wellness, I coach clients one-on-one, run group cleanses, give nutrition talks and host cooking classes. My nutrition motto is simple : balance not diet, enjoyment not deprivation, consistency not perfection. Much of what I’ve learnt from yoga I apply to my nutrition coaching. I invite my clients to focus on building a steady nutrition foundation (”asana”) by eating real foods and balancing their macro nutrients instead of getting caught up with inflated claims of superfoods and hypes of fad diets. And practice, practice and practice! I love to engage my clients to cook and transform their knowledge about food into meals on the dinner table. Combining both my practices in nutrition and yoga, I am happy to help anyone who seeks joy and ease on their plates as well as their yoga mats. If I am not in the kitchen or a yoga class, I am jogging in Prospect Park or working my shift at the Park Slope Food Coop! I live in Brooklyn with my lovely husband, beautiful daughter and off-the-charts cute chihuahua.